A scrapbook journal throughout the semester will consist of clippings (at least 2 a week) from the New York Times related to their chosen term paper topic and other areas of interest, especially related to horror movies and the assigned Persepolis. Students will write short commentaries on the content of the clippings and reasons for selecting them (minimum of 100 words a week for the total of each week's clippings). This scrapbook journal (with a minimum of 4 entries) must be handed in to the professor at least every two weeks, preferably on Mondays. This scrapbook journal will count as a theme. 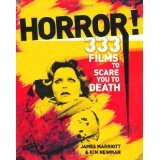 Students will choose a movie, whether they have seen it or not, from the weekly assigned chapter in the text--Horror: 333 Films to Scare You to Death--and write a minimum of 100 words on this film and, if possible, show how there is some sort of a connection with Persepolis. To share their views with the class on their chosen movies, students will be asked to read their comments out loud in class or allow the professor to do so. Students may use the various Internet movies sites, such as Netflix, and DVDs, and computer labs to write and revise their papers. Students are also urged to attend a number of the activities related to Persepolis or other Murray State U. Reading Experience activities, two of which are required. Students will be responsible for following the College of Humanistic Studies policy on academic integrity.